SKiiP is the most powerful IPM on the market. 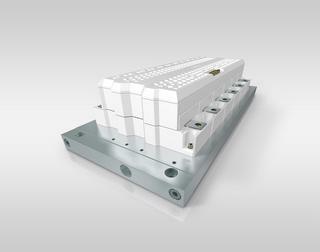 The power semiconductors used in SKiiP 4 modules can be operated up to a junction temperature of 175°C. To make sure these components can be reliably used at these temperatures, the power circuitry is 100% solder-free. Sinter technology is used to create a sintered silver layer instead of the solder layer which could limit the service life of power modules. Reliability during active and passive thermal cycling is greatly improved. The integrated gate driver in the SKiiP 4 sets new standards in terms of reliability and functionality. The digital driver guarantees safe isolation between the primary and secondary side for both switching signals and parameter measurement. This means the user no longer has to introduce complex and costly topology components to provide safe isolation. 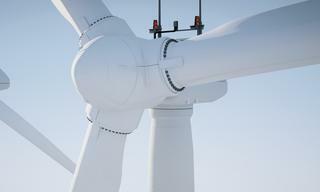 SKiiP fully meets the specific requirements for wind turbines in the 0.5 to 6MW power range. Besides wind power applications, SKiiP modules can also be found in elevators, solar power and railway applications – in fact, in any area where powerful, safe and reliable IGBT IPMs are a must. SKiiP IPMs are available in half-bridge and sixpack topologies in power ratings of up to 2MW without paralleling. Cooling solutions range from water to air-cooled systems and customised cooling in SKiiP 3/4. A wide range of accessories is now also available for both SKiiP 3 and SKiiP 4. These include fiber optic boards, paralleling boards for SKiiP systems and adapter boards to connect SKiiP 4 to SKiiP 3 controller.